A performance at the 2007 Festival International de Musique Actuelle de Victoriaville by Braxton’s Diamond Curtain Wall Trio. The group performs in conjunction with the SuperCollider program running on a computer. Braxton smokes! 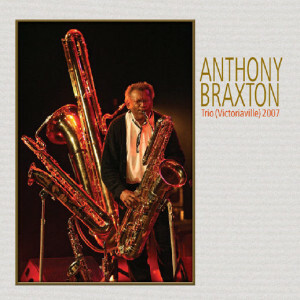 He has with him a large assortment of saxophones, including the monster contrabass saxophone. Look to this as one of his finest personal performances of his later career. The other members play well, though Halvorson does better yet on Quartet (Moscow) 2008.